Without question, pigmentation is one of the most common concerns I see. It's a condition that plagues thousands of people across the world, regardless of age, race or gender. 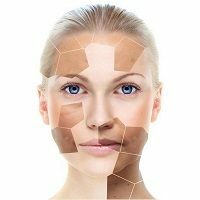 Undoubtedly, this is because there are different types of pigmentation and when it comes to treating it, there is no "one size fits all" approach. Looking like you permanently have dirty stains on your skin can really affect your confidence and self-esteem. For those who suffer from this concern, it's a constant a battle to cover up and hide it, and most patients are desperate for a solution! This month we aim to educate you on the different types of pigmentation, what causes it and the possible treatment options.